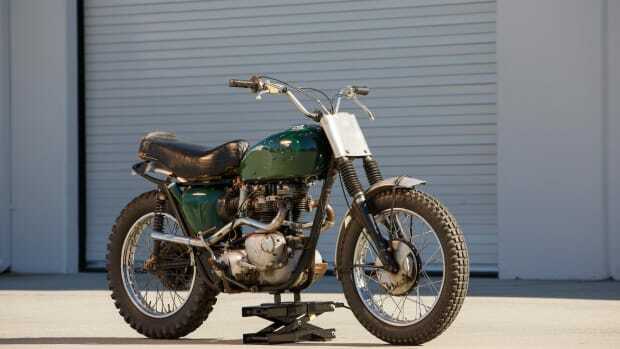 Back in November we broke the news that Steve McQueen's wicked 1963 Triumph Bonneville will be sold at Bonhams’ Las Vegas Motorcycle Auction at Bally’s Hotel & Casino on Jan. 7. However it's far from the only cool bike on offer at the amazing sale. 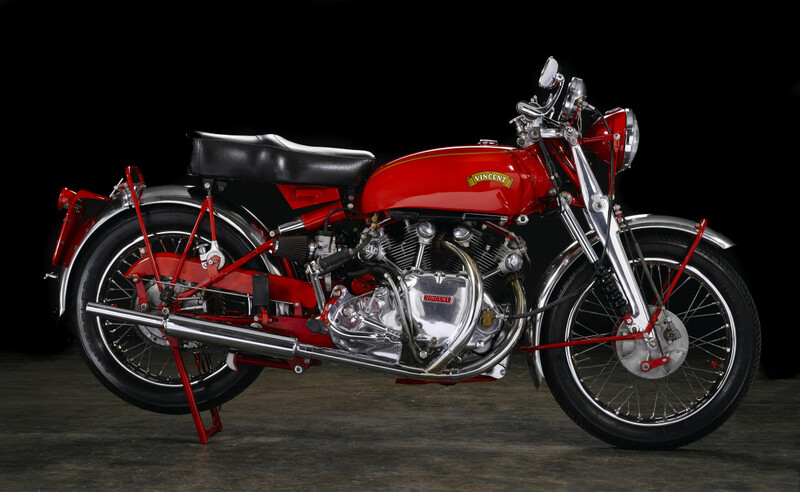 Here's a look at seven more stunners, with estimates ranging from $10,000 to $350,000, including the only red Vincent White Shadow ever built and a killer 1954 MV Agusta Road Racer. 1.) 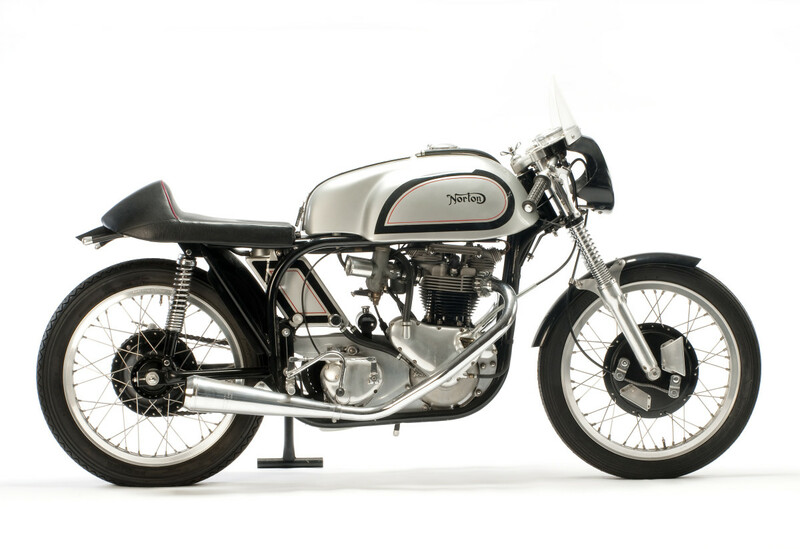 FROM A PRIVATE SOUTHEASTERN COLLECTION, 1963 NORTON ATLAS. Frame no. 20103703 Engine no. P11/124426. $8,000 - $10,000. 2.) 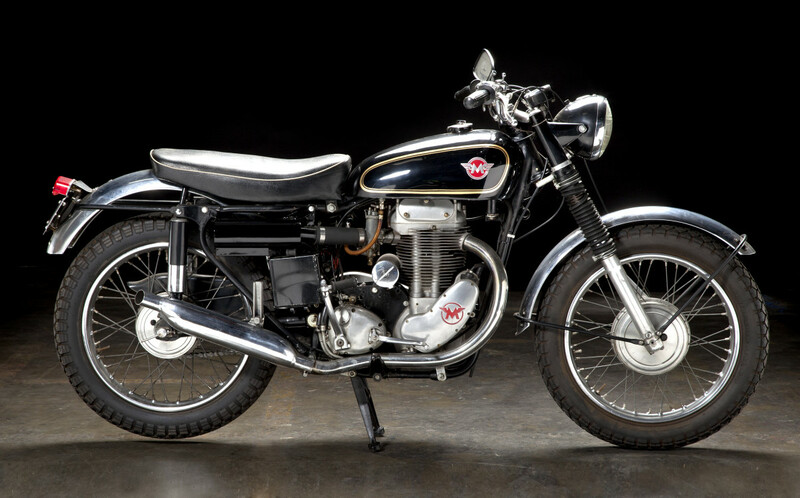 FROM THE MIKE SEAL ESTATE, 1961 MATCHLESS G80CS. Engine no. 61 G80CS 3879. $8,000 - $10,000. 3.) 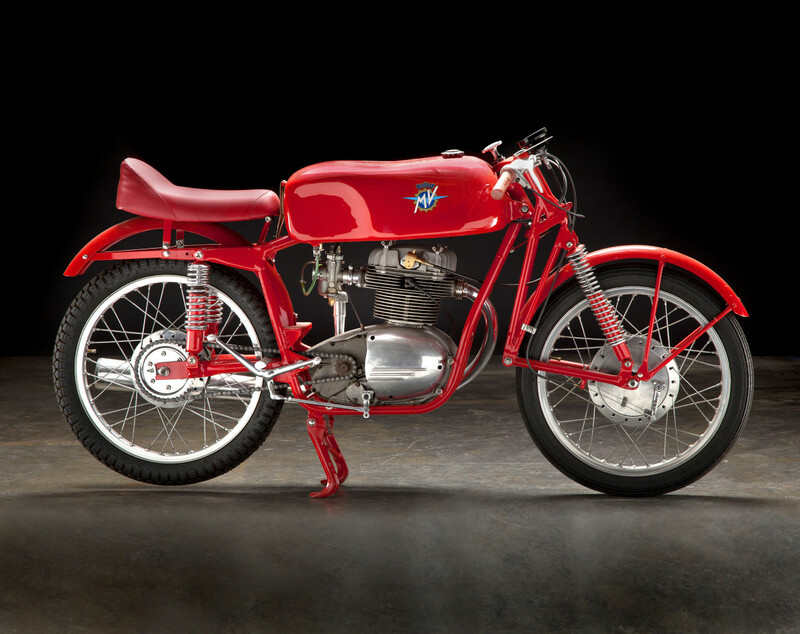 BEAUTIFULLY RESTORED c.1954 MV AGUSTA 175CC CSS SQUALO PRODUCTION ROAD RACER. Frame no. 410031/5V Engine no. 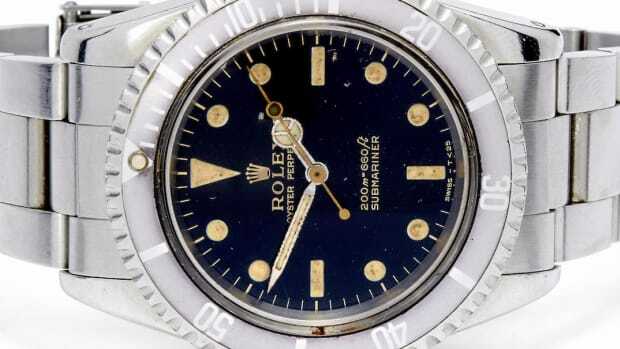 450390/5V. $35,000 - $45,000. 4.) 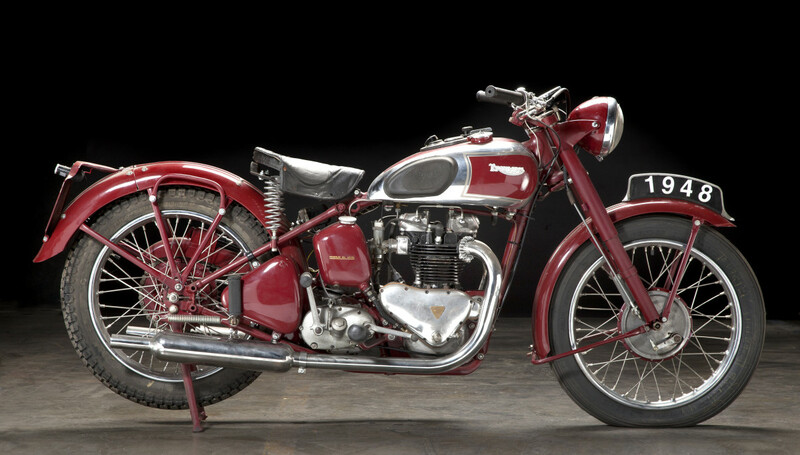 FROM A PRIVATE SOUTHEASTERN COLLECTION, 1948 TRIUMPH 5T SPEED TWIN. Frame no. 36611 Engine no. 48 5T 95311. $ 12,000 - $15,000. 5.) RARE ONE-OFF 1951 VINCENT BLACK SHADOW VARIANT IN CHINESE RED. Upper and Rear Frame no. RC8047A, Engine no. F10/1A/6147. $300,000 - $350,000. 6.) 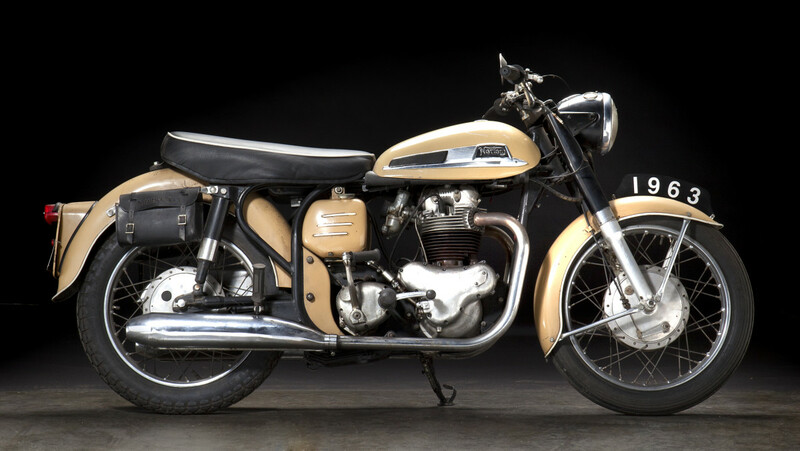 1958 TRITON TRIUMPH TIGER 650CC CAFE RACER. Frame no. N14 76985 Engine no. T110 019061. $15,000 - $18,000. 7.) 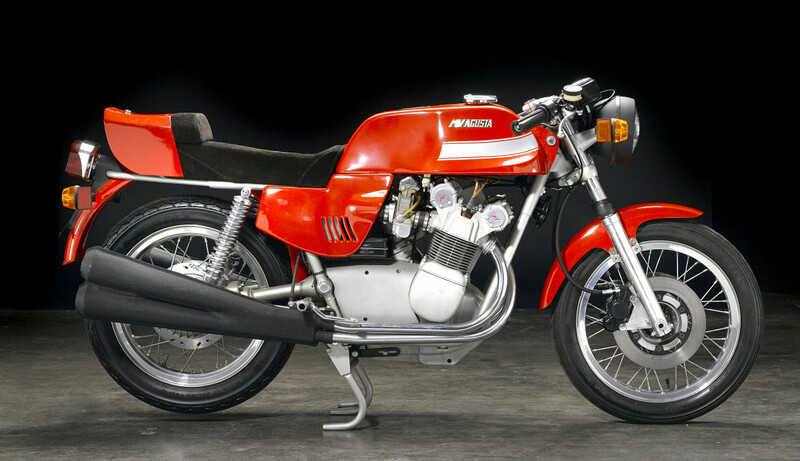 41 MILES FROM NEW, 1977 MV AGUSTA 750S AMERICA. Frame no. 2210124 Engine no. 2210124. 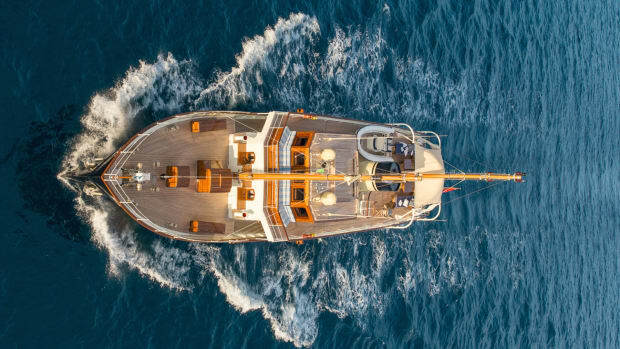 $ 120,000 - $140,000.